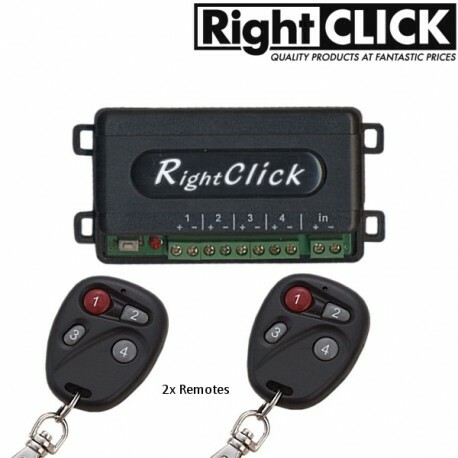 Remotely control a wide range of applications from up to 100 meter away with this 4 channel RF remote control system. 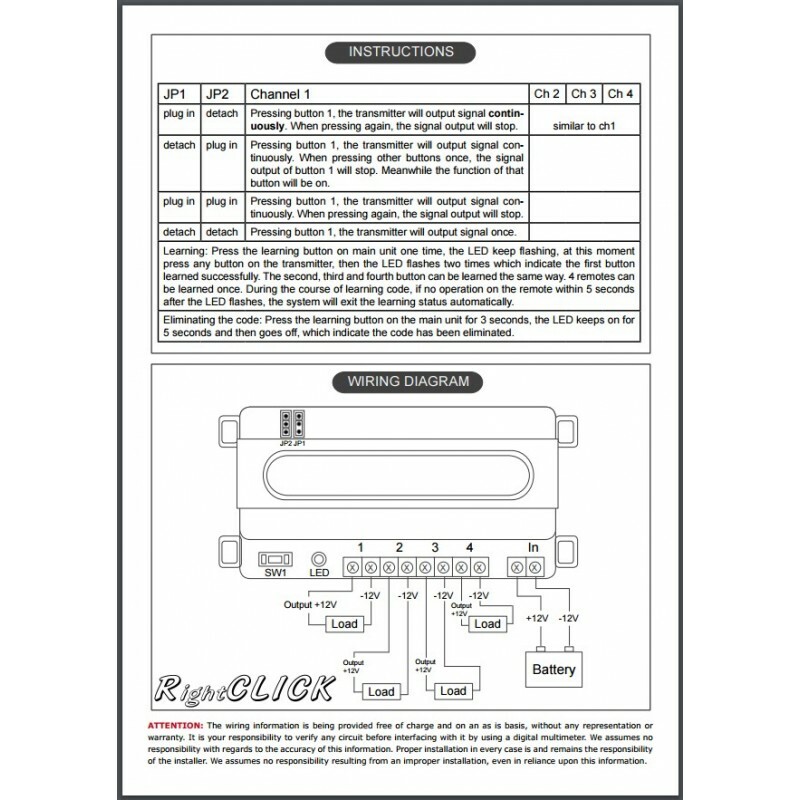 The system is operated with an On/Off Toggle switch, just press it once to turn it on and press it again to turn it off! 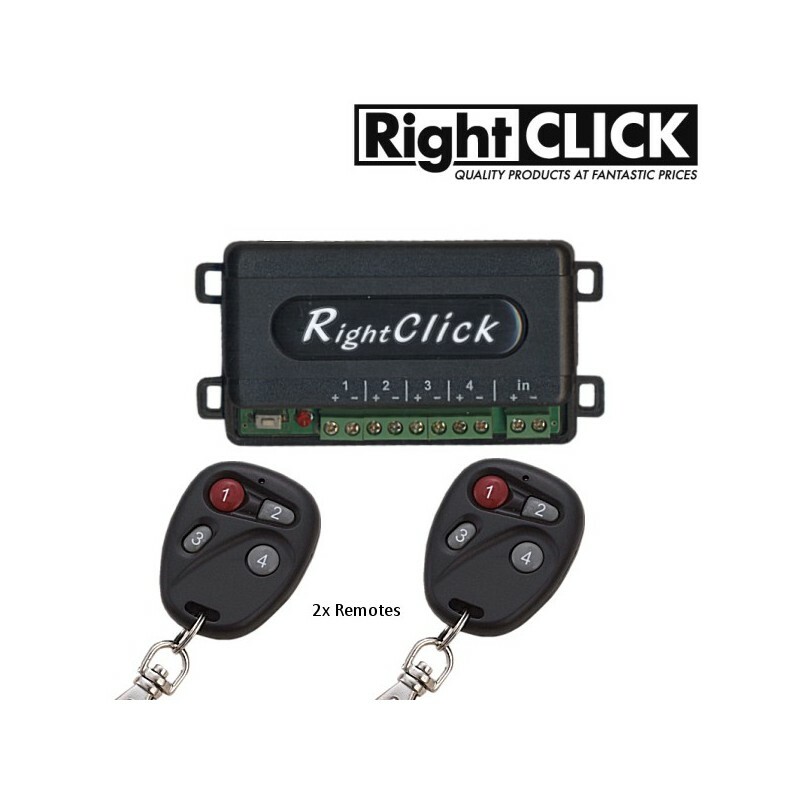 Easy to install and use, the 4 channel remote control system lets you take control of your gadgets, car and home or garage.